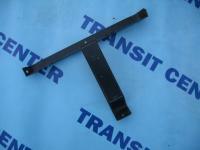 Ford Transit MK7 2012 interior, these are parts like Ford Transit dashboard and handle. Ford Transit MK7 2012 interior, these are parts like Ford Transit dashboard and handle. The interior equipment department includes elements for Ford Transit MK7 produced from 2006 to 2013, these are for example, the seats, the airbag and many others equally important components. Autumn was very happy for the fans of this iconic model, because the seventh generation of this popular van debuted. What is more, Ford Transit 2007 once again earned the prestigious title of Van of the Year, and that was really important award in this segment. The proof? The customers had a choice of 60 vehicle’s versions! The great choice of body types, the wheelbase, the drive - the front and rear wheels - different capacity from 1010 to 1638 kilograms. In short - the company ideal. It is also worth to mention, that the interior equipment was and still is at the very high level and in many companies this van is still used. Of course in our internet shop we own a wide assortment of various accessories and spare parts like, the pins, the caps or the covers, as well as major components such as, the seats, the seat bases or the steering wheels. If you cannot find searching product, please contact with us by e-mail. Especially for you we try to bring them.